Discovery Stations, 10 a.m. to 4 p.m. Learn about cherry trees and related plants at these exploration tables. 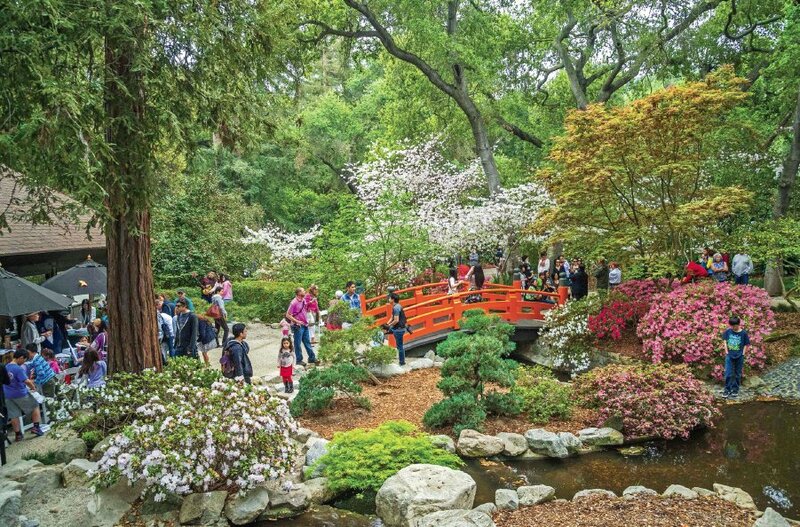 Cherry Blossom Walk, 11 a.m. and 2 p.m. Take a guided walk with the gardens’ experts and learn about cherry blossoms and other flowering trees. Origami, 11 a.m. to 3 p.m. Try the art of paper folding with help from experts. Camellia Lounge, 10 a.m. to 4 p.m. Purchase Japanese-influenced cuisine, including tempura and sushi selections. Full menu on main lawn, beverages and snacks in tea house. Performance by On Ensemble at 11 a.m., 1 p .m. at 3 p.m. On Ensemble is at the forefront of a growing artistic movement in the taiko world. It has made a name for itself by infusing the powerful rhythms of taiko with overtone singing, odd meter grooves and soaring melodies. Admission: $9 for adults, $6 for seniors/students, $4 for children 5-12, free for children 4 and under. To check availability and book tickets, go to http://bit.ly/2kXfDdc. For more information, call (818) 949-4200 or visit http://descansogardens.org.